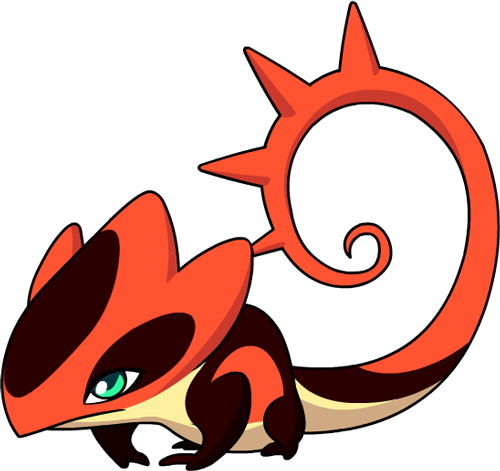 With a tail that stings as much as its fire attacks, this Mino can swiftly camouflage into its environment as if invisible. Charges into the target, releasing an explosion of fire. Switching from Magmeleon does not use up Energy.